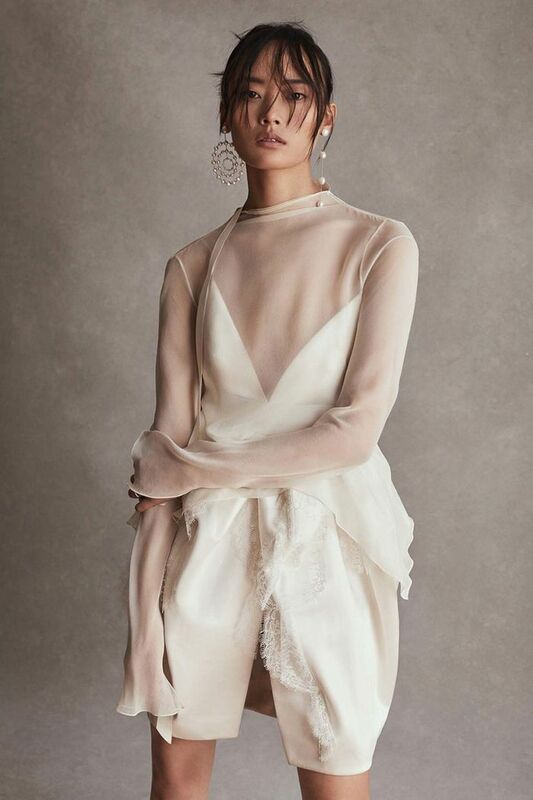 Your dress, jumpsuit, or tux is clearly the most important piece when it comes to your wedding day style, but the accessories are close runners-up, tying your dream ensemble together. While the perfect pair of shoes is a must, your jewelry picks are also of utmost importance (beyond your wedding bands, of course). So, what’s popular in the wedding jewelry world currently? Here’s the thing—like any trend out there, there are certain bridal styles that have come in and out over the years. By the time 2019 hits, we’re going to see fewer of the simple pieces specifically. Here, we’re sharing Frankel’s take on everything from statement earrings to necklaces to, yes, even belts next year. If you’re prepping for your big day and looking to complete your wedding look, keep scrolling to shop the popular maximalist jewelry trend. Even if you’re not, a little eye candy never hurt anyone, right? When it comes to an eye-catching pair of earrings, go for a pretty drop style, or consider mixing and matching two different silhouettes for a forward look. While the style of the necklace will depend on the neckline of your dress, a longer style you can loop around or a unique choker silhouette will work with most silhouettes. If it is a more streamlined, simple wedding dress you're opting for, consider a statement belt or a stylish bracelet to bring your look to another level. Next, check out the jewelry trend one editor has worn 365 days in a row.